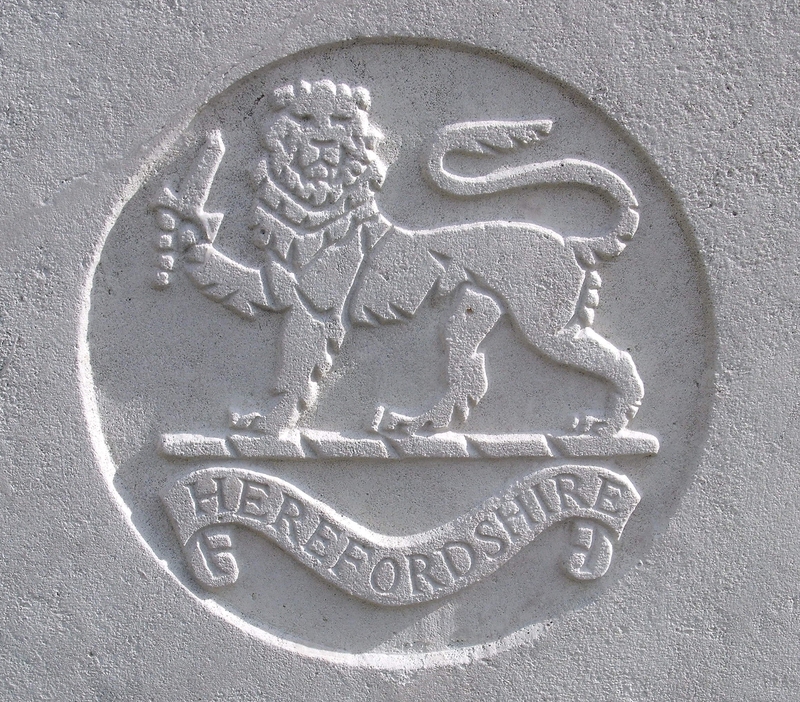 1/1st Bn, The Herefordshire Regiment, 102nd Brigade, 32nd Division, B.E.F. Sidney Mince was born at Apperley in Gloucestershire and enlisted in the Herefordshire Regiment at Hereford. He took part in the Suvla Bay landings at Gallipoli with the Herefordshire Regiment, and also served in Egypt and Palestine. Late in the war the Herefords were transferred to the Western Front and were involved fighting round Mount Kemmel. His link with Malvern is not clear. From the Regimental History: “The withdrawal of the enemy extended to the new front held by the division. Kemmel Hill was occupied early on the morning of 31 August and by the evening 101 Infantry Brigade was in occupation of the trench line known as the Vierstraat Switch. 101 Brigade continued its advance on 1 September, gaining all of its objectives, but it was so far ahead of 103 Brigade on its right that it had to fall back slightly so as to link up with them. It was from this position that it was relieved on the evening of the 2nd by the brigade, which was due to continue the advance.